Hello, first time poster, long time lurker here. I have finally saved the funds to level my truck and put on new wheels and 33" tires. The current front tires are wearing funny and it needs an allignment. I want to upgrade to heavy duty front end parts and level the front end but I just don't know where to start. I want to do this the right way so I don't run into issues wearing out parts or not functioning properly. Can someone please point me in the right direction to parts and level kits they recommend? Thanks! For a level, I have found the Bilstein 5100 front shock package to be the best bang for the buck.. You only get the shocks, so you will have to use your existing springs.. These are technically "coil over" shocks as opposed to "struts" in the sense of the term as I have been schooled on.. The 5100's gives you the option to select your lift height by selecting from 4 different ring settings. All the way from stock (the lowest ring) to 2" on the top ring. I chose to do the 1.5" level and use the 3rd ring from the bottom on my 13. Your 05 is similar in design, but probably different in some cases..
Don't know what you mean by wanting to upgrade to a "heavy duty front end parts"? Is that wanting to go to the Heavy Duty Payload Package front end? Or just upgraded parts for your existing front end? 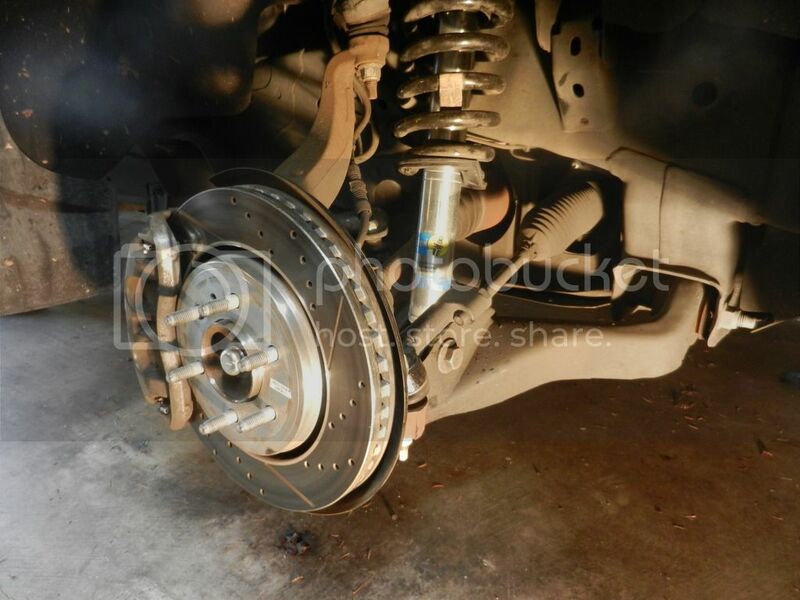 If you are looking to replace your ball joints and A arm bushings, then getting some new OEM or maybe MOOG or other aftermarket parts will freshen up any worn out suspension parts.. Here is what I did to level my truck with the 5100 front shocks set to the 3rd ring. I also put the 5100's on the rear and the whole ride is much improved. Just what worked for me..
Last edited by MitchF150; 01-26-2019 at 03:16 PM. Leveling kits level the front end with the rear end, to eliminate that "rake" of the raised rear end. Leveling kits allow for a larger tire. Your truck comes from the factory with a higher rear end, and levels itself with a load in the rear. Now when you load your truck bed, the front end will be higher and it will look like your rear end is sagging. 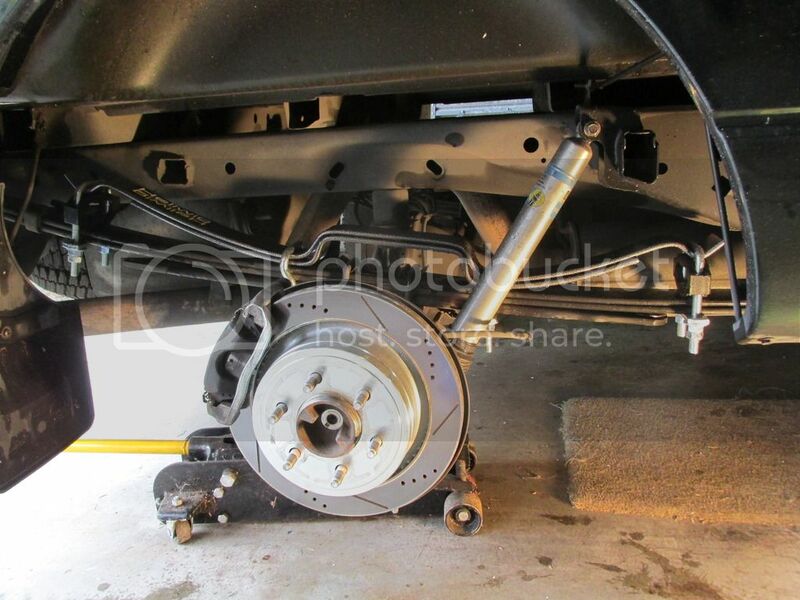 Leveling kits will almost always change the angle of your upper control arm. Your ride will be stiffer, and you will feel more bumps on the road. Not quite sure what you mean by " heavy duty front end parts ". A leveling kit isn't "heavy duty" in any way, and will not gain any performance. Thanks for the reply, I will check out the Bilsteins. Does the 1.5" setting level your truck? I have read about guys putting 2.5-3" to level theirs. Have you had any problems with your CVs or any rubbing while off-road? And yes, by "heavy duty front end parts" I meant ball joints and tie rod ends and other suspension/steering linkage parts that I should upgrade while I'm doing this work. I'm not great with truck part terminology. I don't use the truck for towing outside of the occasional bed load. I'm more interested in adding some ground clearance to the front. I have read that coilovers increase wheel travel and improve ride quality, is that not true? I have looked at kits from fox and icon and a few others that include a new upper control arm. Any thoughts on these? By "heavy dutydfront end parts" I meant ball joints and tie rod ends and other suspension/steering linkage parts that I should upgrade while I'm doing this work. I'm not great with truck part terminology. I want to upgrade everything and get an allignment with the level and 33" tires. With the 2004 Supercrew I had, the front end was about 2" lower than the rear. I didn't think anything about it as all of that body style sat low in the front. Come to find out from my shop guy that the F150 is prone to spring collapse. I had him put all new front end on it, struts, springs, bushings, ball joints, using Monroe Lifetime Guarantee parts. When I got it back, the truck sat level like it should have been. Drove like it was on rails too but a little more firm than the crap that came off. You might find that just putting decent parts in the front end will level the truck without going to tricky, more expensive parts. As was mentioned, I'd just do a leveling kit of 2" or less, whether with a spacer or the Bilstein setup. Get new bushings for the sway bar, a-arms, and new Moog ball joints. Install, then get an alignment. You'll be good to go. No need to get crazy with HD off-road parts to run 33" tires. Also, the leveling kit isn't going to give you any real "ground clearance", it's really just to improve the look of the truck for those that don't like the factory stance. Quick Reply: Leveling 05 F150 and beefing up front end.